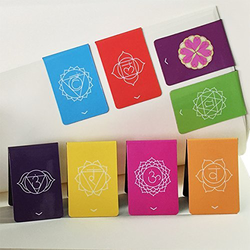 Our organization manufacture Magnetic Bookmark that are used for modern bookmarks. Does your bookmark fall off from your book everytime you turn the page Presenting magnetic bookmarks small and elegant with images of heritage monuments of India covering Taj Mahal, Qutub Minar, Red Fort, Gateway of India and Hawa Mahal. Lamp-like bookmark Give your book a bright and inspirational reading sense. We are the manufacturer and supplier of trade promotion items. Our product range includes customized shape paper clips and staplers; multiport usb charger; magnetic bookmark; lcd screen cleaner pad; hand fans; hooks set; car care; soft toys; advertising photo frame;, gifts to promote brand, advertising giveaway, business giveaway etc. 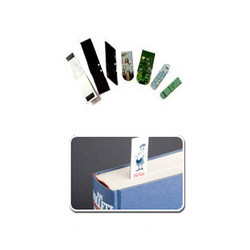 Our innovative magnetic bookmark that marks the page and even the sentences you are on. Very easy to use, it sticks to a page without moving or falling out, and you may put and remove it as many times as you wish. It is highly useful item to have at reading time, with books, diaries, notes, magazines, and so on. New Central Book Agency Pvt. Ltd.